By the time you have finished reading this article at least two children will have been bullied online. When you go to bed tonight, around 11,000 youngsters in the UK will have suffered some kind of online abuse. And that’s just today. It is happening every day, and by the time we are all wishing each other “Happy New Year” in 12 months time, around four million children will have been the victims of cyberbullying. But there are two main problems. Firstly, our education system is woefully behind the times. The curriculum doesn’t even include anything about how to use social media. That’s bonkers, considering the first online social networks were available in 1978 (before the web was invented); social media is not new. Secondly, parents are also out-of-date. Most of them wouldn’t know a “snap” from a “poke”, yet they allow their children to wander around the social media world without any real attention. One excellent step in the right direction is the “ABC” campaign from the radio station, LBC. Broadcaster Nick Ferrari is Leading Britain’s Conversation on bullying through the “Anti-Bullying Charter“. This campaign aims to provide ideas to schools so that children can learn how to avoid problems online and deal with them if they arise. The ABC campaign deserves our support. Otherwise millions of children will miss out on vital education to help them gain the massive benefits of the Internet without the problems. And as shown on the Nick Ferrari programme this week, cyberbullying is sometimes fatal. 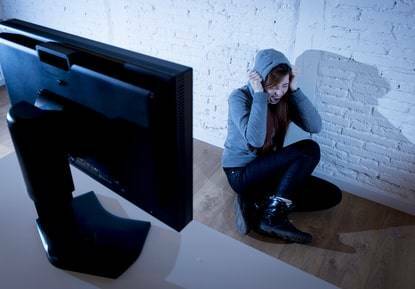 Various studies on cyberbullying make grim reading yet action by governments has been tepid. Seven years ago, the American Academy of Pediatrics pointed out that this was a growing problem and needed attention. Three years before that in 2010, researchers pointed out the issue was important and subject to rapid alteration as technology changed quickly. Many governments don’t appear to have listened, as legislation is patchy, even if it exists. One study in Sweden suggested that only 4% of online attacks end up in a prosecution. In other words, the vast majority of online bullying goes on without being dealt with, the perpetrators undeterred. However, we can not just blame intransigent or slow-acting governments; parents also haven’t adequately dealt with the problems raised by social media. Millions of children are using social networks that their parents have no experience of using. So, how can those parents advise youngsters on how to stay safe or use the networks to deal with bullying when it arises? Think of it this way. As a parent, you probably played in a park when you were a child. You understand what it is like playing in a park from your own experience. Now, as an adult, you can comprehend the dangers in the park, and you can use your grown-up thinking and your childhood experience to support your children and advise them on how to use the local park without much risk. If you have no knowledge of a network, like Snapchat for instance, allowing your children to use it would be like sending them alone to the local park which you had never used, and never visited. In that kind of situation, most parents would say their child could not attend the local park until Mum and Dad had been to see what it was like. Yet, those same mums and dads allow their children to wander around social networks of which they have no knowledge. I am adding “D” and “E” to the Nick Ferrari campaign – “Desire Experience”. Parents should have a deep desire to experience the social networks that their children use. That way you can help them when youngsters are victims of bullying. This is important as one study has shown that around 50% of children have little idea of how to change privacy settings on the networks they use. If parents understand the networks themselves, they can help their children deal with problems. But if mums and dads don’t even use the networks their children use, how can they possibly advise and support them when things go wrong? Parents need to take action because, according to one study, many teachers do not know how to deal with the problem of cyberbullying. That’s why parents need to get involved and is also why LBC’s ABC campaign is vital as it will provide the education system with guidance on what can be done. At the moment, schools are pretty much on their own, and research shows that much of what schools are currently doing only works in the short-term. We need a longer-term solution to cyberbullying, and that’s why the Anti-Bullying Charter from LBC could be so important as it will focus the education system on methods that work.